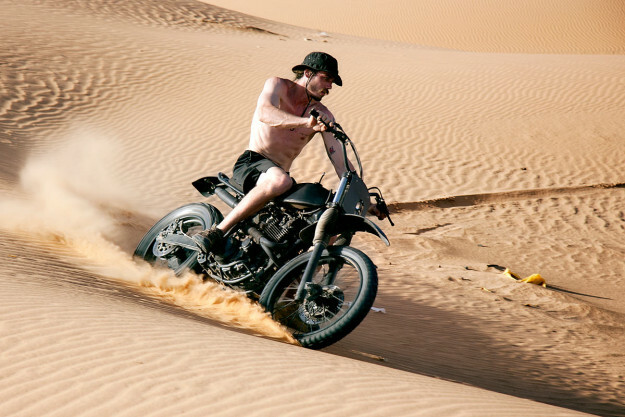 Most custom bikes lead pretty easy lives. 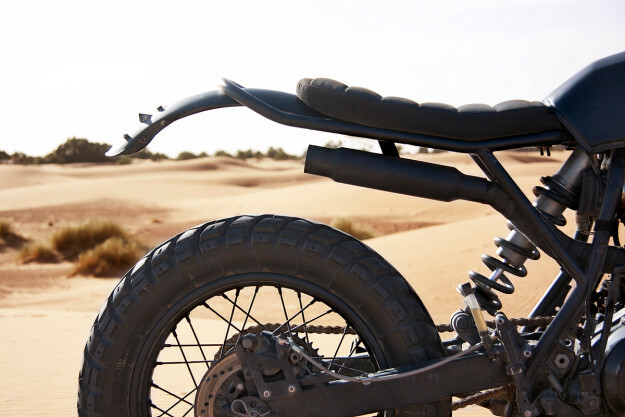 Even scramblers and dirt trackers are likely to spend more time on road than off. 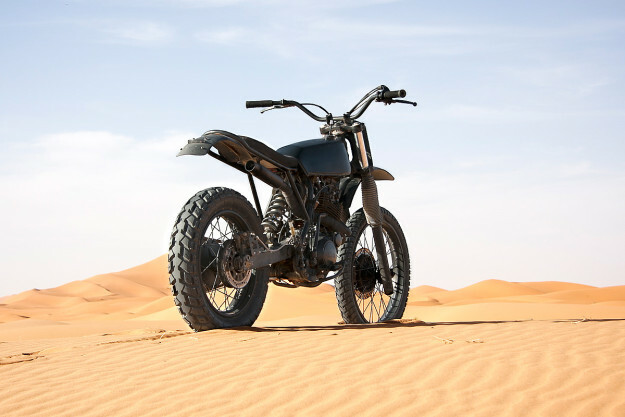 But this tough Yamaha XT 600 is the real deal—built to follow a rally team through North Africa. 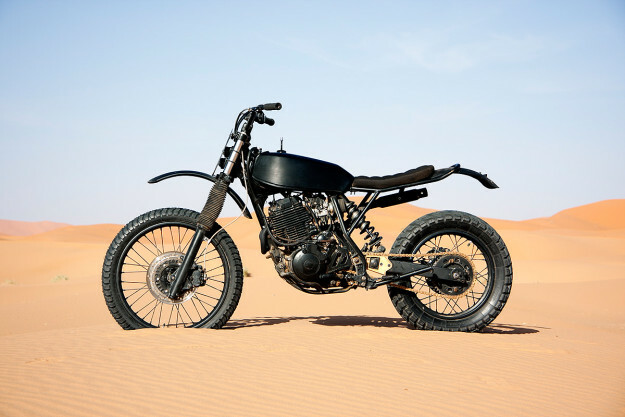 Boy is now building bikes full time, and the XT 600 is the first bike to roll out of his new Pancake Customs workshop. It’s already had a good shakedown: in April, Boy handled spannering duties for the Black Ram team during the Libya rally. It’s now much cleaner, with a simple metal fender tucked under the new rear frame loop. After testing several different tanks, Boy found a neglected DT400 unit—and it’s a perfect match. Right behind is a custom seat with a practical heavy canvas cover, built by local specialist Silver Machine. All the electronic components are now hidden under the tank, and connected with a new wiring loom. It’s a battery-free setup. Up front, Boy has shaved the top triple tree and positioned the bars a little bit lower than usual. 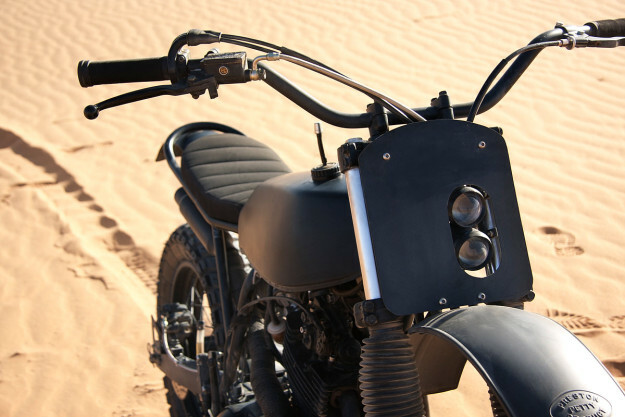 He’s also made a frontplate housing two compact lights—a modern take on the desert sled look. 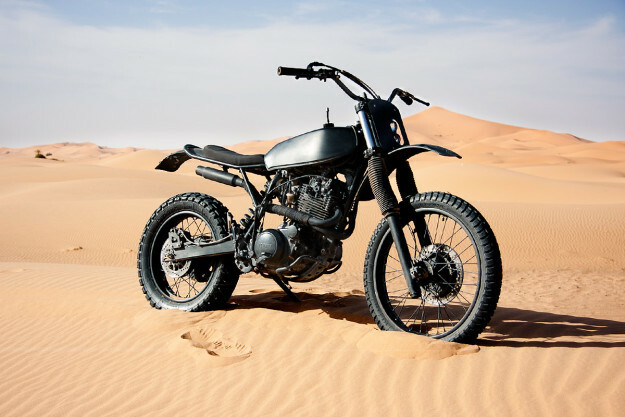 The Yamaha XT 600 engine is usually bulletproof, and this one was no exception. After a thorough check and a few adjustments to suit the foam pod filters, it was good to go. Like the other mods, the exhaust system is simple and effective—exiting under the seat and out of harm’s way in case of a crash. The only thing left was to fit Heidenau K60 rubber and apply a fresh layer of flat black powder coat. 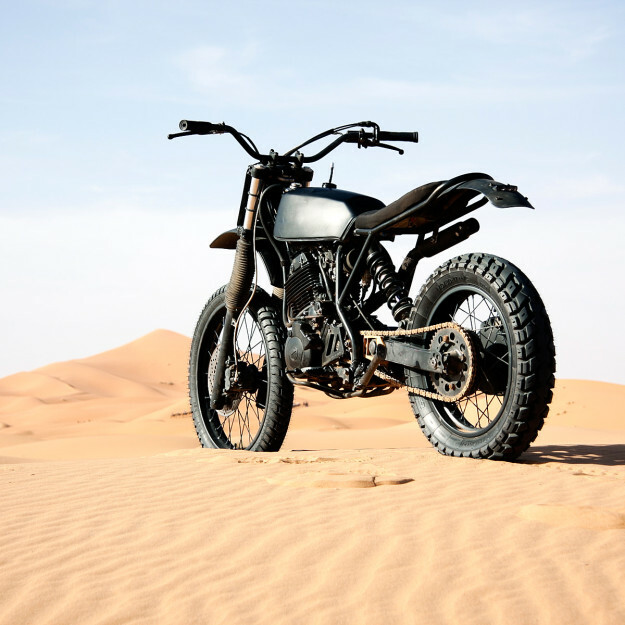 It’s now the perfect machine for ripping up the dunes—or the dirt tracks of rural Holland.